Accessory ONLY, Xbox Kinect Go is not included. Works with any 110-240 volt outlet. Connect power and connectivity to an original Xbox 350 console and make sure you can continue using your Kinect. 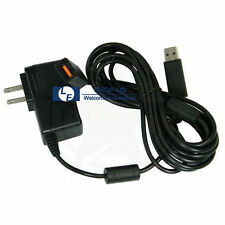 1 x Kinect USB AC Power Adapter. Xbox 360 Kinect System. Output: DC 12V 1.08A. Features: ---The Power Supply provides power and connectivity to your Kinect, ensuring that you can continue to use your Kinect sensor anywhere, anytime ---Mount your Kinect anywhere without worrying about it being to far from your power supply or Xbox 360 ---Xbox 360 Kinect Sensor Power Supply Wall AC Adapter Converter USB Cable ---Can be used on your Xbox 360 (all versions previous the newest slim version) ---Provides power and connectivity to Xbox 360 console Specification: ---Input: 100V~240V 50/60 Hz ---Output: DC 12V 1.08A Package Content: ---1x Power Adapter Supply Cord Cable for Kinect - Replacement USB AC Power Adapter Connector for Microsoft Xbox 360 Kinect Motion Sensors. Making sure you can continue using the Kinect motion sensor. 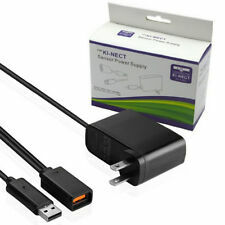 1 x Kinect USB 2.0 AC Power Adapter. Xbox 360 Kinect Motion Sensor. Connect power and connectivity to an original Xbox 350 console. USB 2.0 AC power adapter. This can be used to setup the Kinect on the XBOX One S, the XBOX One X, and the PC. The Kinect sensor is not included. No noise, more quite and longer life. 1 x Adapter for XBOX One S/X. Gross Weight: about 720g. The power adapter compatible for Xbox One S/Xbox One X console. Net Weight:0.5kg. Due to the difference between different monitors, the picture may not reflect the actual color of the item. 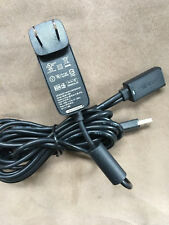 USB AC Power Adapter provides power and connectivity to an original Xbox 360 console to make sure you can continue using your Kinect anytime. Compatible With Microsoft: Xbox 360 / Xbox 360 Slim. Input:100 - 240 V. Output: DC 12V 1.08A. Color: Black. Brand Unbranded MPN Does not apply UPC 4894462140451 EAN 4894462140451 ISBN 4894462140451. USB 3.0 Kinect 2.0 Sensor Adapter For Xbox One S Xbox One X Windows 8/8.1/10 #US. The adapter is a customized version, perfect support for For XBOX ONE S/X Kinect. 1 Power adapter. High Quality ETL/CSA/CE/NSF/FCC - We passed every evaluation of pool products, even ASTM which for pool alarm in USA laboratory. 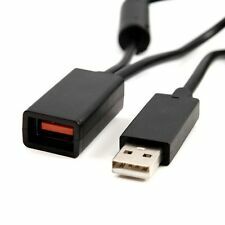 Tired of worrying that you may leave your Xbox-360 connector cable behind at a friend's house? Well now the worrying stops. 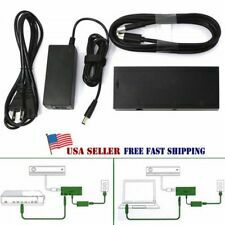 This inexpensive Kinect Sensor Power supply cable will allow you to leave the worry behind, and continue to use your Xbox-360 console wherever you go. Kinect 2.0 Sensor Adapter for Xbox One S & Xbox One X & Windows 8 10 PC USB 3.0. This can be used to setup the Kinect on the XBOX One S, the XBOX One X, and the PC. No noise, more quite and longer life. Compatible with: for Xbox 360 Kinect System. Plug Type: US Plug. Output: DC 12V 1.08A. Cable Length: Approx.195cm. The Power Supply provides power and connectivity to your Kinect, ensuring that you can continue to use your Kinect sensor anywhere, anytime Mount your Kinect anywhere wiout worrying about it being to far from your power supply or Xbox 360 Xbox 360 Kinect Sensor Power Supply Wall AC Adapter Convertor USB Cable Can be used on your Xbox 360 (all versions previous the newest slim version) Provides power and connectivity to Xbox 360 console . The cord and the adapter are in good condition. 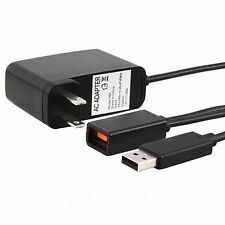 Microsoft XBOX 360 Kinect AC USB Power Supply Charger Adapter [Model 1429] . Condition is Used. Tested and works! Shipped with USPS First Class Package. Free shipping!